Long-awaited Dishonored game, that combines the features of action and stealth game genres, was finally released on 12-th of October, 2012. This game is considered to be one of the most expected premieres of autumn. Here we will be struggling for the honor of Empress’s bodyguard against the background of beautiful steampunk landscapes. 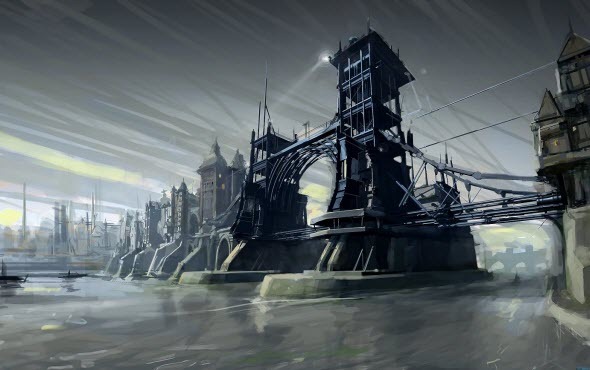 Dishonored combines two genres - action and stealth - at once, and gamers will be able to choose the type of the game by themselves. Dishonored will let you decide how to pass one or another mission, and the gaming process will change according to your decision. Thus, you can fight vigorously against your enemies, leaving the bloody trace and heaps of dead bodies behind, or pass the traps with cunning to get to finish line without any drop of blood. If you want to get to know more about this fascinating new game, go to our review.